Potomac Green is a neighborhood in West Bloomfield, Michigan located just south off Walnut Lake Road between Orchard Lake Road and Farmington Road. This subdivision consists of 190 homes built in the mid-to-late 1960s. The majority of the homes are 2-story with Colonial design, 2 car attached garages and range from about 2,100 square feet to 3,000 square feet. Layouts are typically 3-5 bedrooms, 2+ bathrooms, first-floor laundry rooms, and spacious basements. Most of the home rage in price from $250,000 to $330,000. Potomac Green is non-gated and has it’s own homeowner’s association, which requires $100 HOA dues annually. Fees cover common area maintenance and management. The subdivision offers mature landscaping and trees, stately shrubs, and manicured lawns. Potomac Green is located in the West Bloomfield School District and served by Doherty Elementary School (grades K-2), Sheiko Elementary School (grades 3-5), Orchard Lake Middle School, and West Bloomfield High School, of which all are less than a mile from the subdivision. Also nearby is the Oakland Early College and the Oakland Opportunity Academy. There are several activities nearby including Bloomer Park, the Family Aquatic Center, Marshbank Park, dog parks, sports parks, and the West Bloomfield Trail and Nature Preserve. Potomac Green is also pretty centrally located as well, which provides easy access to local malls, golf courses, restaurants, and country clubs. 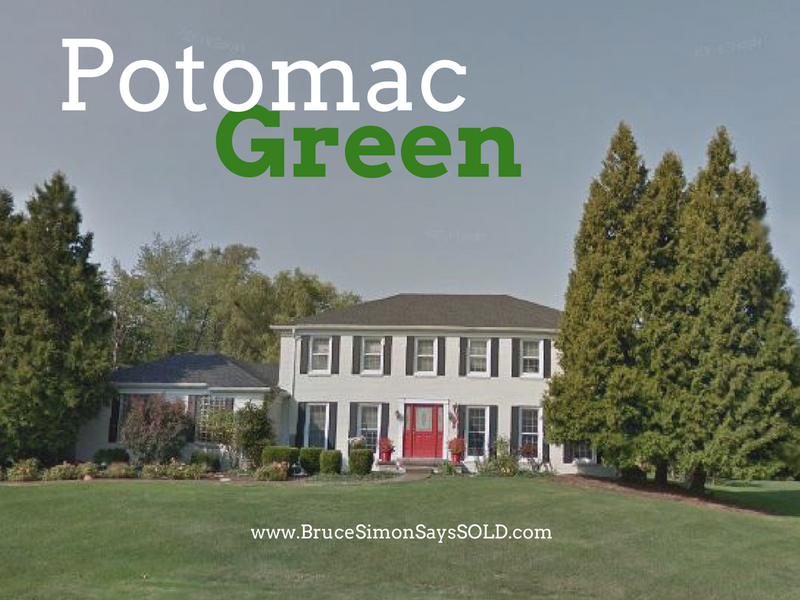 Take a look at all the active listings in Potomac Green or give me a call to be notified immediately when a new listing hits the market. Feel free to contact me about any home for sale in Potomac Green and surrounding neighborhoods and subdivisions.